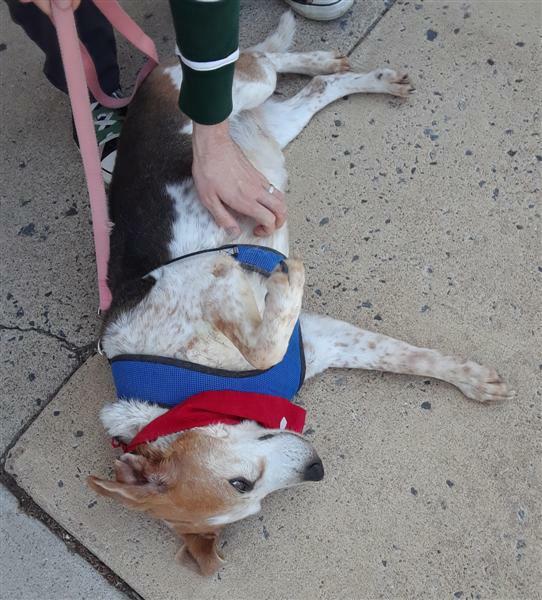 Every effort is made to bring our dogs to the listed event each week, but due to volunteer or foster commitments Trooper may not be at every event. To find out if Trooper will be at this event, contact Neville. 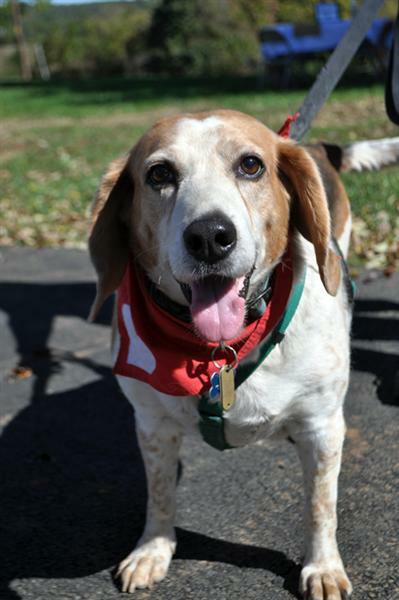 Trooper is a sweet hound with lots of charm who is prepared to be the perfect companion for someone. He has a lot of admirers among HART volunteers but just hasn't found the right forever home yet. 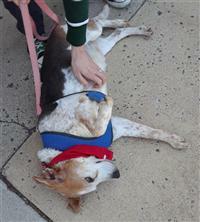 He doesn't ask for much, just a loving home where he will get lots of petting and belly rubs! And treats of course... he will use his teddy bear eyes to convince you to give him extra! He loves walks and exploring with his expert hound nose. He also loves riding in the car, he will practically buckle his own seatbelt he is so excited! Trooper got his name because he has been through a lot, and he has kept his sweet spirit through it all. He was rescued after being hit by a car. Despite all the pain he was in, his tail never stopped thumping, and he never snapped or even cried out as he was being moved and handled. Trooper prefers to be the only dog in the home so he doesn't have to share the belly rubs! He is the whole package, so why would you even need another one? He is a bit choosy with his canine friends and mostly prefers those on the smaller side. He is good with kids and would be a very loyal family dog, but he would also enjoy a quiet home with empty nesters.